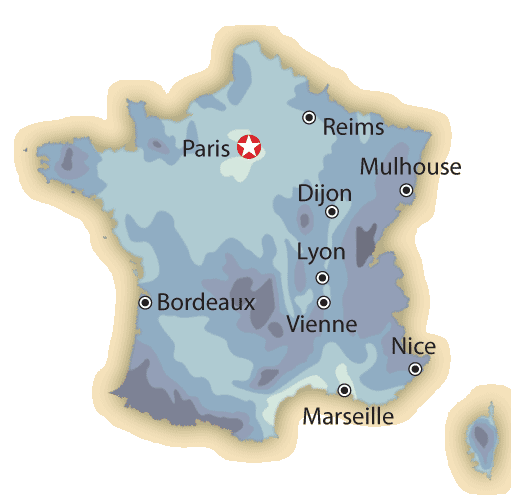 Click or tap the cities on the France Weather Map to see the weather and historic climate information for that French city. Areas of darkness on our France rainfall map indicate higher levels of expected yearly precipitation. France has a diverse climate. It's surrounded on three sides by water of different temperatures, all creating unique weather. The northwest of France, Brittany and Normandy, is damp and cool. The heart of France is warm in the summer but not stiffling. Summer along the Med is almost rain free. The mistral, a cold north wind, can descend from the alps and turn weather in the south nasty in a hurry. High seasons in France are the Christmas season, February school break (for ski resorts) Easter and the whole month of August. 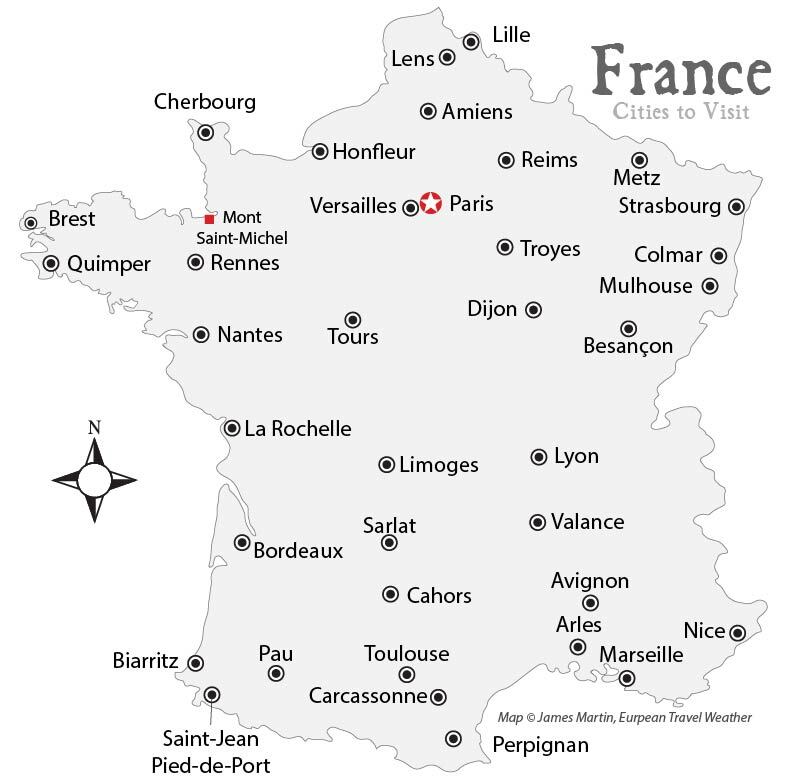 Planning a trip to France based on typical weather? Use our France weather map to click on the city you're interested in to get graphs of the high and low historic temperatures, rainfall and the latest weather conditions. Below are the links to major tourist cities with historic climate information, in case you can't use the map.